Mary Berry's Complete Cookbook. Author:Berry, Mary. Each month we recycle over 2.3 million books, saving over 12,500 tonnes of books a year from going straight into landfill sites. All of our paper waste is recycled and turned into corrugated cardboard. 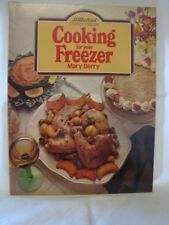 Title: Mary Berry's Complete Cookbook Item Condition: used item in a good condition. Will be clean, not soiled or stained. Fast Cakes. Author:Berry, Mary. Book Binding:Paperback. Each month we recycle over 2.3 million books, saving over 12,500 tonnes of books a year from going straight into landfill sites. All of our paper waste is recycled and turned into corrugated cardboard. Mary Berry's How to Cook: Easy recipes and foolproof techniques. Author:Berry, Mary. We appreciate the impact a good book can have. We all like the idea of saving a bit of cash, so when we found out how many good quality used books are out there - we just had to let you know! Simple Cakes. Author:Berry, Mary. We appreciate the impact a good book can have. We all like the idea of saving a bit of cash, so when we found out how many good quality used books are out there - we just had to let you know! Mary Berry's Complete Cookbook. Author:Berry, Mary. Book Binding:Hardback. Each month we recycle over 2.3 million books, saving over 12,500 tonnes of books a year from going straight into landfill sites. Mary Berry's Ultimate Cake Book (Second Edition): Over 200 Classic Recipes. Author:Berry, Mary. Book Binding:Paperback. Need help?. Book Condition:VERYGOOD. Each month we recycle over 2.3 million books, saving over 12,500 tonnes of books a year from going straight into landfill sites. Title: My Kitchen Table: 100 Sweet Treats and Puds. Author: Mary Berry. Series: My Kitchen. Format: Paperback. Publication Date: 15/09/2011. Browse(Open in a new tab). Author:Berry, Mary. Book Binding:Hardback. We appreciate the impact a good book can have. We all like the idea of saving a bit of cash, so when we found out how many good quality used books are out there - we just had to let you know! Classic Ck: Favourite Cakes (CLASSIC COOKS). Author:Berry, Mary. We appreciate the impact a good book can have. We all like the idea of saving a bit of cash, so when we found out how many good quality used books are out there - we just had to let you know! Real Food - Fast: Over 140 Delicious, Quickly Prepared Recipes. Author:Berry, Mary. Book Binding:Hardback. We appreciate the impact a good book can have. We all like the idea of saving a bit of cash, so when we found out how many good quality used books are out there - we just had to let you know! By MaryTitle: Mary Berry's ultimate cake book: over 200 classic recipes. Publisher: BBC Books UK Release Date: 19941013 Language: English ISBN-10: 0563367903. Mary Berry Cooks The Perfect. Author:Berry, Mary. Each month we recycle over 2.3 million books, saving over 12,500 tonnes of books a year from going straight into landfill sites. All of our paper waste is recycled and turned into corrugated cardboard. Mary Berrys Food Processor. Title: Mary Berrys Food Processor. Authors: Berry, Mary. Binding: Paperback. Condition: Used; Good. Weight: 440 Gms. Publish Date: 30/01/1992. Cook Now, Eat Later. Author:Berry, Mary. We appreciate the impact a good book can have. We all like the idea of saving a bit of cash, so when we found out how many good quality used books are out there - we just had to let you know! Author:Berry, Mary. Each month we recycle over 2.3 million books, saving over 12,500 tonnes of books a year from going straight into landfill sites. All of our paper waste is recycled and turned into corrugated cardboard. ISBN: 0755363175. TITLE: Mary Berry's Christmas Collection. AUTHOR: Berry, Mary. BINDING: Paperback. Acceptable - Very well read. Reading copy only. May have significant wear and tear and contain notes & highlighting. Author: Linda Collister,Mary Berry,Paul Hollywood ISBN 10: 1849904634. Will be clean, not soiled or stained. Edition: - List Price: -. 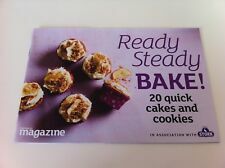 Title: Mary Berry's Cookery Course: Over 250 Sure and Simple Recipes Item Condition: used item in a good condition. Author: Mary Berry ISBN 10: 0749912790. Edition: New edition List Price: -. Will be clean, not soiled or stained. Title: Hamlyn All Colour Cook Book (Hamlyn All Colour Cookbook) Item Condition: used item in a good condition. Publisher: Hamlyn ISBN 13: 9780600343349. Author: Mary Berry,Ann Body,Audrey Ellis ISBN 10: 0600343340. Mary Berry Cooks. Author:Berry, Mary. Each month we recycle over 2.3 million books, saving over 12,500 tonnes of books a year from going straight into landfill sites. All of our paper waste is recycled and turned into corrugated cardboard. Author:Berry, Mary. Real Food - Fast. Each month we recycle over 2.3 million books, saving over 12,500 tonnes of books a year from going straight into landfill sites. All of our paper waste is recycled and turned into corrugated cardboard. More Fast Cakes. Author:Berry, Mary. Each month we recycle over 2.3 million books, saving over 12,500 tonnes of books a year from going straight into landfill sites. All of our paper waste is recycled and turned into corrugated cardboard. Real Food - Fast by Mary Berry (Paperback / softback)Title: Real Food - Fast Format: Paperback / softback Type: BOOK Publisher: Headline UK Release Date: 20110804 Language: English. We all love to eat well and enjoy the freshest, lightest ingredients, but who wants to spend hours on complicated recipes?. My Kitchen Table: 100 Cakes and Bakes. Author:Berry, Mary. Book Binding:Paperback. Book Condition:ACCEPTABLE. Each month we recycle over 2.3 million books, saving over 12,500 tonnes of books a year from going straight into landfill sites. Mary Berry's Stress-free Kitchen. Author:Berry, Mary. Each month we recycle over 2.3 million books, saving over 12,500 tonnes of books a year from going straight into landfill sites. All of our paper waste is recycled and turned into corrugated cardboard. Mary Berry Cooks Cakes (TV Cooks). Author:Berry, Mary. Book Binding:Hardback. Book Condition:GOOD. World of Books Ltd was founded in 2005, recycling books sold to us through charities either directly or indirectly. Title: Celebrity Bake Book Item Condition: used item in a good condition. Binding: Hardcover Language: english. Publisher: Accent Press Ltd ISBN 13: 9781908766502. Will be clean, not soiled or stained. Title: Mary Berry's Christmas Collection. Title : Mary Berry's Christmas Collection. 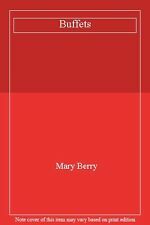 Authors : Berry, Mary. ISBN : 9780755363179. Product Category : Books. Binding : Paperback. First Edition : False. Condition : Good. Fast Desserts. Author:Mary Berry. Each month we recycle over 2.3 million books, saving over 12,500 tonnes of books a year from going straight into landfill sites. All of our paper waste is recycled and turned into corrugated cardboard. Title: Mary Berrys Best Desserts Item Condition: used item in a good condition. Author: Mary Berry ISBN 10: 0751304859. Fast suppers by Mary Berry (Paperback / softback)Title: Fast suppers Format: Paperback / softback Type: BOOK Publisher: Penguin Books UK Release Date: 19880101 Language: English. 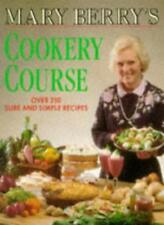 Author: Mary Berry ISBN 10: 0600319741. Title: One Pot Cooking Item Condition: used item in a good condition. ISBN: 0749916222. Title: Mary Berry's Favourite Recipes: 250 Best-ever Recipes. Author: Mary Berry. Prizes: N/A. Book binding: Paperback. Number of pages: 256. Mary Berry's Country Cooking. Author:Berry, Mary. Each month we recycle over 2.3 million books, saving over 12,500 tonnes of books a year from going straight into landfill sites. All of our paper waste is recycled and turned into corrugated cardboard. Chocolate Delights. Author:Berry, Mary. Book Binding:Paperback. Each month we recycle over 2.3 million books, saving over 12,500 tonnes of books a year from going straight into landfill sites. All of our paper waste is recycled and turned into corrugated cardboard. Mary Berry's Favourite Recipes. Author:Berry, Mary. Book Binding:Hardback. We appreciate the impact a good book can have. We all like the idea of saving a bit of cash, so when we found out how many good quality used books are out there - we just had to let you know! Title: Mary Berry's How to Cook: Easy recipes and foolproof techniques Item Condition: used item in a good condition. 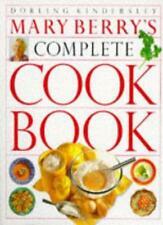 Author: Mary Berry ISBN 10: 140532077X. Will be clean, not soiled or stained. Mary Berry's Desserts. Author:Berry, Mary. Each month we recycle over 2.3 million books, saving over 12,500 tonnes of books a year from going straight into landfill sites. All of our paper waste is recycled and turned into corrugated cardboard. Desserts and Confections. Author:Berry, Mary. Book Binding:Hardback. Each month we recycle over 2.3 million books, saving over 12,500 tonnes of books a year from going straight into landfill sites. All of our paper waste is recycled and turned into corrugated cardboard. Mary Berry's Ultimate Cake Book: Over 200 Classic Recipes. Author:Berry, Mary. Book Binding:Paperback. Book Condition:GOOD. Each month we recycle over 2.3 million books, saving over 12,500 tonnes of books a year from going straight into landfill sites. More Fast Cakes. Author:Berry, Mary. Book Binding:Paperback. Each month we recycle over 2.3 million books, saving over 12,500 tonnes of books a year from going straight into landfill sites. All of our paper waste is recycled and turned into corrugated cardboard.